Need a long distance towing service? Perhaps your family or business is moving. Or you’re dealing with the headaches of a fleet recovery. Or a personal vehicle has had a major breakdown or accident far from home and you don’t want to be dealing with a mechanic hundreds of miles away. For towing long distances, you do not want just any tow truck and service. The first reason is cost. Auto towing services base their rates on typical local tows and their operations time for each job. When a lot of miles are involved, long-distance towing companies know the mileage will be high and can quote a rate with less overhead. Wear and tear. Most tow trucks lift the front or back of your vehicle, and leave the other end rolling on the road. That can cause unusual stresses. And if the only option is to have the drive wheels on the road, towing long distance means either disconnecting the drive shaft or risking damage. Added risk. Even with extra care, the longer the distance the more likely attachments may loosen and chains may break. Our flatbed tow trucks have what it takes. Your vehicle rides completely off the road on an air-cushioned bed. Our pros fasten it securely to ensure there is no damage along the way, so it’s more like shipping than towing your vehicle. If your car, truck, SUV, or van is already damaged in an accident our long distance services can get it back home even if it won’t even roll. You’ll also have the advantage of the expertise of an experienced operator with the proper class of driver’s license. Unlike your personal car or truck, commercial vehicles such as our flatbed tow trucks must be licensed in each state that they operate. 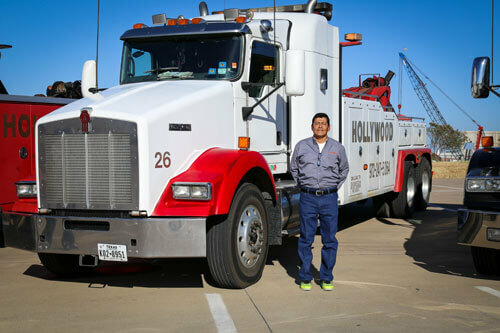 Headquartered in the Dallas Fort Worth metro area, our long-distance towing services cover all of Texas as well as Arkansas, Louisiana, New Mexico, and Oklahoma. We’re towing professionals, fully licensed and insured, and often work with Texas law enforcement. Our flatbed towing rates are highly competitive, and you can count on an accurate estimate with no hidden surprises. And we’re ready 24/7 to meet your emergency towing needs.